An artificial wetland is being developed at Ramauli Pratappur of Parsa National Park to conserve wildlife.The park authority and Tarai Arc Landscape (TAL) Programme of the World Wildlife Fund have built a 345-metre long dam at Ramauli Pratappur to create a marsh land that would spread over an area of 200 bighas. 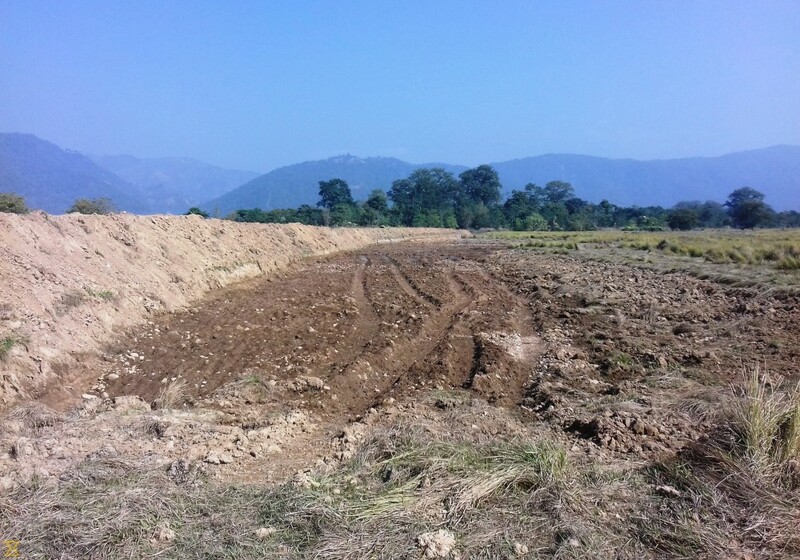 Community conservation facilitator for TAL Bedhari Dahal said the dam will retain rain water and the water from other sources to create a wetland.“Ramauli Pratappur has been developed as the core area of the national park. Various animals come here to graze or use it as a route to go to the Rapti river to drink water,” he said. The dam will also act as a barrier for wildlife, thus reducing the instances of human-wildlife conflict. Every now and then, the park animals have been found crossing the Rapti river and entering human settlements.“The dam will serve as a fence, stopping animals from venturing outside the park’s territory,” Dahal said. Around Rs 600,000 was spent to build the 10-feet high dam. TAL Programme had contributed Rs 500,000 and Manahari Consumers’ Group had donated Rs 119,000 to the project. Meanwhile, wildlife conservationists have urged the authorities concerned to build an underpass or a flyover along Syauli bio-corridor to ensure free movement of animals after the construction of Postal Highway in the area. The bio-corridor links Chitwan National Park and Parsa National Park of Nepal with Valmiki Tigers Reserve of India. Noting that the construction of Postal Highway will obstruct the movement of animals along the bio-corridor, conservationists have requested the authorities concerned to build wildlife bridge.